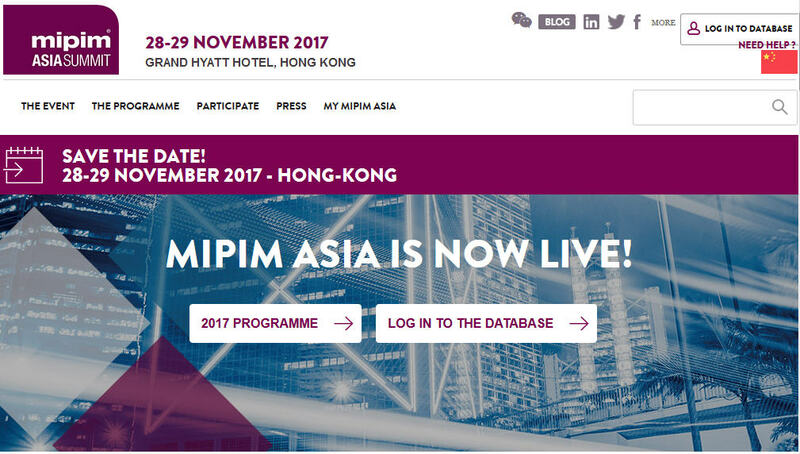 Today, Tuesday, November 28, 2017, Dr.Sopon Pornchokchai, President, Agency for Real Estate Affairs as the President of FIABCI Thailand will attend the MIPIM-Asia in Hong Kong. This event will last until Wednesday, November 29,2017. 1. Conference: Attend MIPIM Asia 2017 to gain insight into how to keep excelling in a fast-changing world; industry experts will bring you up to speed on the latest trends and you’ll meet the players whose real estate businesses are outperforming in Asia Pacific. 2. Networking: Accelerate your business by meeting Pan Asian and global leaders during topical business discussions, networking breaks and premium social events. 3. The MIPIM Asia Awards recognize the property industry’s best and brightest, rewarding innovation and achievement in a variety of fields. After selection by a prestigious jury and a vote by MIPIM Asia delegates, winners are awarded Gold, Silver and Bronze recognition during the MIPIM Asia Awards Gala Dinner. FIABCI is a partner to the MIPIM. FIABCI provides access and opportunity for real estate professionals interested in gaining knowledge, sharing information and conducting international business with each other. FIABCI Members represent all real estate disciplines including Brokerage, Property Management, Valuation/Appraisal, Investment, Development, Consulting, Legal, Architecture, Planning and Insurance. Members work in all types of property sectors - Commercial, Residential, Luxury, Retail, Rural, Resort, Industrial, etc FIABCI's areas of focus include global networking, international business development, education and advocacy in the global real estate industry. With members in 65 countries, including 100 Professional Associations, 65 Academic Institutions and 3000 individual members from all professions of the real estate sector, FIABCI is the most representative organization of the real estate industry in the world and holds special consultative status with the Economic and Social Council (ECOSOC) of the United Nations.